Created in June 2014, the Museum Freecycle project has gone from strength to strength in its first year, with 400 museums from across the UK now taking part in the scheme. Designed to help museums exchange unwanted items such as display cases, exhibition furniture and office equipment, Museum Freecycle has prevented good quality, reusable museum items from reaching landfill and forged mutually beneficial relationships across the whole museum sector. 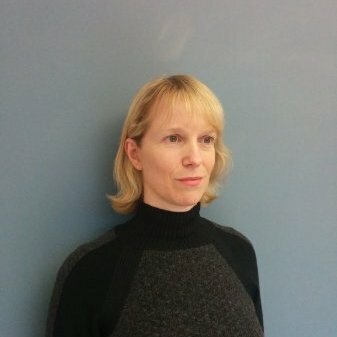 The success of the initiative is thanks in part to the determination and vision of its founder – Caroline Keppel-Palmer. Endlessly energetic and one of the most optimistic people you will ever meet, Caroline started Museum Freecycle when she was Managing Director for the architecture and design studio, Urban Salon. The company worked with many museums by designing temporary exhibitions and noticed that much of the display kit from these exhibitions was ending up in the skip, even though most of it was perfectly reusable. These observations led to the publication of a Design Week article by Alex Mowat from Urban Salon proposing the concept of a Freecycle group aimed at museums. This article caught the attention of Freecycle Founder, Deron Beal and with Deron’s support, Museum Freecycle was born, and the past twelve months have proved hugely successful with new museums signing up to the scheme on an almost daily basis. The recent addition of a Museum Freecycle twitter account (@Museum Freecycle) has meant that the reduce, reuse, recycle message can now reach even more museums and each week, an assortment of exciting, quirky and useful museum items find new homes across the UK. AIM sat down with Caroline Keppel-Palmer to discover more about the scheme – and her hopes and plans for the next twelve months. AIM: Hi Caroline – can you explain the benefits of Museum Freecycle for the museums that take part for us please? CKP: There are three main benefits really for any museum taking part. The first is that Museum Freecycle is an easy way for museums to dispose of unwanted items sustainably. 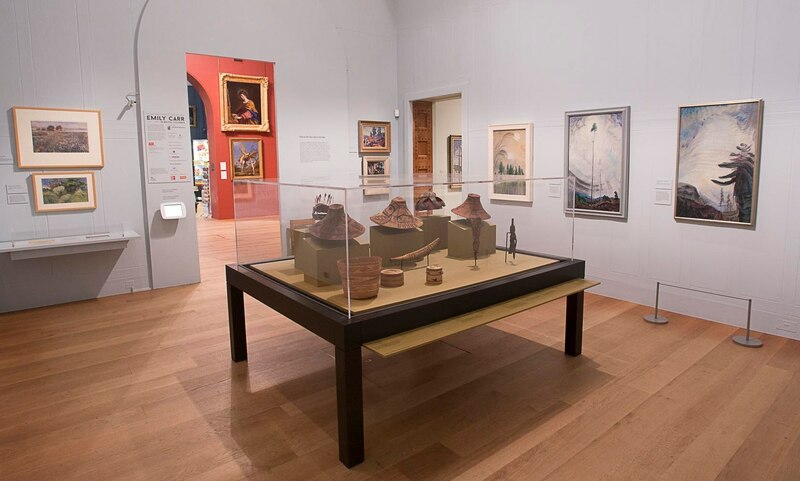 It also provides museums with a source of free exhibition furniture and museum equipment and finally, it’s free to join and free to use.The sector also benefits. By giving items bound for the skip a second lease of life, Museum Freecycle is reducing economic and environmental waste and creating value from those unwanted assets – all for zero cost. AIM: How easy it is to join Museum Freecycle Caroline? AIM: Huge congratulations on the first year of the scheme – what have the past twelve months been like? CKP: Museum Freecycle has grown throughout the year. The Horniman Museum has just become our 400th member and we now have members from across the UK stretching from Cornwall to Orkney! Members find it a convenient and useful way to reduce, reuse and recycle. We’ve found new homes for scores of display cases, mannequins, plinths; hundreds of storage boxes and other items. Museums have been able to use ‘new’ equipment from the site to develop their visitor offer for free. Bloxham Village Museum, for example, were able to replace their homemade donations jam jar to a purpose built donation box complete with thank you printed in twenty different languages by using the site. AIM: Now that the first year has passed, what are your hopes for Museum Freecycle in the future? CKP: I am keen to see as many UK museums as possible join and benefit from Museum Freecycle, so we can reduce waste to an absolute minimum and help as many museums as possible get access to ‘new’ free equipment. The more members we have, the better the site will work for everyone. I would love to see other countries follow suit with their own national Museum Freecycle too. AIM: As well as encouraging reuse, we have noticed that there is a real sense of community and camaraderie between all the museums taking part – would you agree? CKP: Yes, definitely. Museum Freecycle provides an interesting model for the museum sector linking museums and enabling swaps, gifting and sharing between those museums through a website. I am interested in exploring the potential for extending this ‘sharing economy’ model to other areas within the museum sector to see where else we can create value from underused assets. But I need to focus on my new business start up… so that’s for later! AIM: You are a busy lady indeed. Thanks so much for your time Caroline – is there anything else that you would like to add? CKP: Don’t forget that Museum Freecycle is free to join, free to use, helps to boost sustainability and make budgets stretch further. I also want to thank everyone for helping me with the scheme especially AIM, Share Museums East and the Collections Trust. Nominations are now open for the CT Awards 2015, which celebrate excellence in Collections Management. Taking place at the Collections Trust’s Annual Conference, winners will be chosen by leading figures in the sector. The awards will recognise those who have completed a great project or individuals who have demonstrated exceptional expertise during the past year and represent the pinnacle of recognition for collections professionals. Among those judging this year’s entries are: Nick Merriman, Director, Manchester Museum, and Chair, Collections Trust; Heather Caven, Head of Collection Services, National Museums Scotland and Hadrian Ellory van Dekker, Head of Collections, Science Museum. Read more about the panel. Nominations and self-nominations are welcome from arts and cultural organisations in the UK, and the judges will assess them on the basis of eligibility, excellence, and innovation. All submissions, discussions and comments will be made online. The Collections Trust is the professional association for people working in Collections Management. Since 2012, our network has grown significantly, and we have now reached the point whereby we need to look at new ways to ensure that we can continue to serve the interests of the Collections Management community. We are carrying out this survey to inform a Feasibility Study for a new Collections Trust Membership Scheme, which will help support our work now and for the future. Collections Trust is currently consulting on the re-introduction of our paid membership scheme and to ask whether you might be able to take a moment to let us have your comments and ideas. As the professional association for people working in collections management in the UK and internationally, the Collections Trust has an active programme which encompasses workforce development, standards and advocacy for the value and impact of collections and collecting. Our work is supported in England by the Arts Council England, and please be assured that none of the free resources and services that ACE has funded will be withdrawn or placed behind a paywall. The aims in considering the re-introduction of a membership scheme are to support the ongoing expansion of our work, to support delivery in Wales, Scotland and Northern Ireland and to give us a closer connection to and relationship with the professional community we serve as a Charity. The Museum Freecycle UK portal is proving a big success with 170 members signed up in its first few months of operation. We covered its launch in June here. Now we’re pleased to share this update from its organisers. The Museum Freecycle site offers museums an online tool, which enables them to recycle their showcases and other exhibition build items for free. The network connects museums that are discarding setworks from temporary exhibitions and those looking for new elements helping to boost sustainability and reduce costs within the sectors. It is being run by exhibition designers and architects Urban Salon with the support of SHARE Museums East and The Collections Trust. There are now 170 members across the UK including the National Portrait Gallery, the Design Museum, the Imperial War Museum as well as smaller museums such as the Bagpipe Museum and Bloxham Village Museum. Membership is open to all UK museums. Part of the Collections Trust’s Going Digital Programme, this major one-day conference is specifically designed for those responsible for developing, managing and sharing museum collections with the public. It will help you build organisational resilience in your museums by improving the basic use of computers and the Internet. The Going Digital Conference will be presented in partnership with Tyne and Wear Archives and Museums at The Great North Museum, Newcastle upon Tyne on Monday 17 November 2014. The event is supported by Arts Council England. The conference programme is currently under development, and it will clearly identify the practical skills needed to “go digital”. Case Studies will show just how much can be achieved on a limited budget! Register your interest as a delegate right now. Full details of the programme, speakers, and online booking arrangements will be sent you as they become available. A Distributed National Collection for England? Nick Poole, CEO of Collections Trust, has posted some thoughtful and thought-provoking blogs in the past few months. Here we round up three that we liked best. Most recently he has suggested that the time may have come to consider a Distributed National Collection for England in a blog, One Collection to Unite Them All. The Welsh Distributed National Collection is already a centre piece of the National Museum Strategy for Wales. Being able to hold a part of a distributed national collection could help AIM members all over the country be better recognised (especially by those outside the museums sector) for their role in both preserving our heritage in all its richness and diversity and in ensuring that where ever you live, you are within reach of and can access that heritage for learning and enjoyment. If you like that, you may also find Nick’s Poole’s blog about 10 Lessons for Museums from HS2 is thought provoking, as is his blog from last year about why We Don’t Need a Debate, We Need a Plan. Collections Trust has just published the first in a new series of blog posts about ‘Going Digital’ – the Collections Trust’s programme to support museums in making the most of technology. In this first post they look at the question, ‘Who does ‘digital’ in a museum?’. At the heart of every organisation is its people. People bring skills, attitudes, knowledge and enthusiasm to their work, without which museums couldn’t achieve any of the things they do. So it seems right to begin our exploration of ‘Going Digital’ in museums by thinking about the people involved – who, exactly, does ‘digital’ in a museum? What skills does the museum need to have access to in order to make the most of the opportunities of technology, while avoiding the risks? At the Collections Trust, we think very hard about the people we’re aiming to serve. As part of the planning of the ‘Going Digital’ programme, we’ve been thinking about the different roles within the museum and how they can help or hinder the adoption of new ideas and new technologies. They go on to talk about the many different ways in which digital comes into a museums activity and the different roles involved – leaders, innovators digitally engaged practitioners, non-digital practitioners, commissioners and providers. Read more here: Going Digital Part 1: Digital People.